While gorgeous tablescapes are certainly the first thing your guests will see when they walk in, don’t skip out on the opportunity to customize all aspects of your venue. Since your guests will be spending a majority of their time sitting at your reception or party, why not dress up their seats? Today we’re sharing some inspiration for transforming standard rental chairs into eye catching works of art for your next celebration. 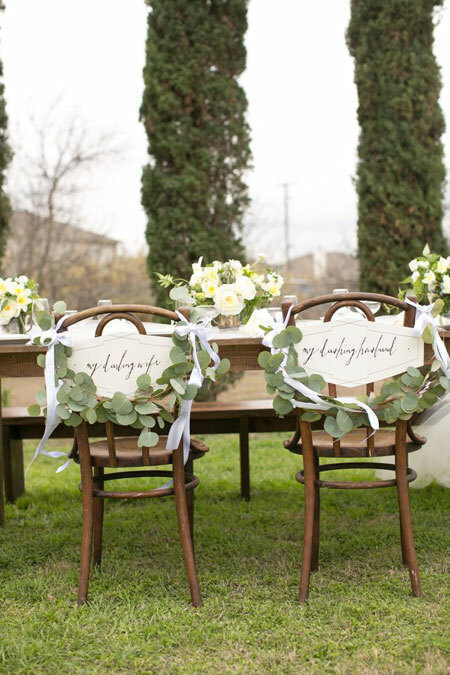 Garlands crafted from blooms or greenery can add a lush and organic feel to your event while ribbons woven through the backs of chiavari chairs are elegant and romantic. 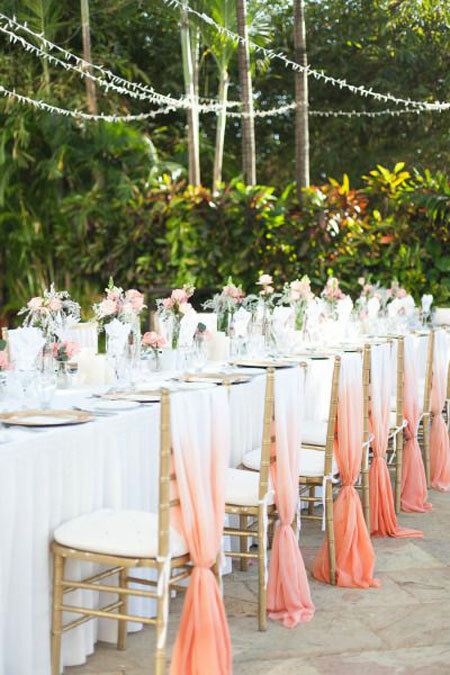 Keep it simple and dress up the guest of honor’s seat or deck out every spot to create a stunning coordinated look. 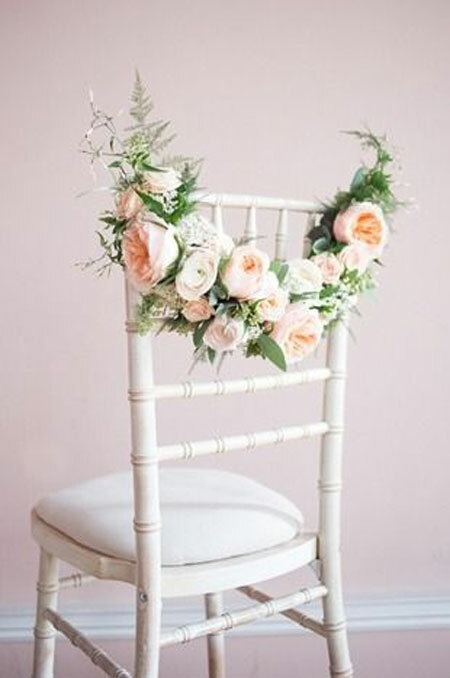 Today we’re sharing some top notch chair decoration inspiration images to spark your imagination. Are you pinning with us? 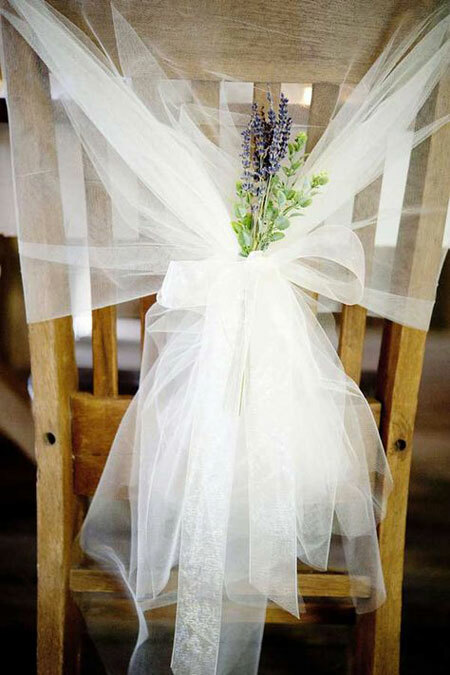 There are even more gorgeous chair decoration images pinned on our “Little Details” board. Follow along with us on Pinterest where we pin daily doses of pretty imagery. Emilee and Haley are from Mint & Lovely Studios, a boutique event design studio in Milwaukee that specializes in custom stationery, paper goods, desserts and tailor-made details. Danielle has had the privilege of working on a variety of publications from magazines to books, and topics from food & travel to home & garden (to weddings!). Currently she works on the digital side of best-selling beading and jewelry magazines. Danielle enjoys everything Milwaukee has to offer and lives near Miller Park with her husband, Alex, and adorable rescue-pup, Hutson.